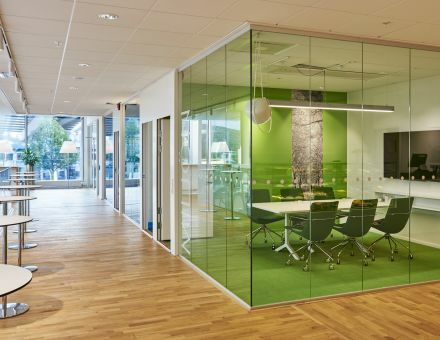 The wide range of products in the Comet family have the unifying themes of clarity and comfort. Comet has a molded shell with a slim silhouette. 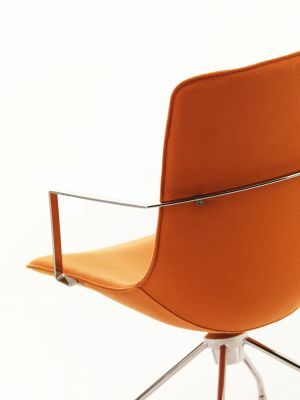 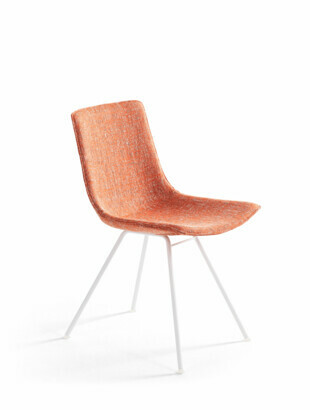 The chair is fully upholstered, with stitched end seams creating a stylistic detail. 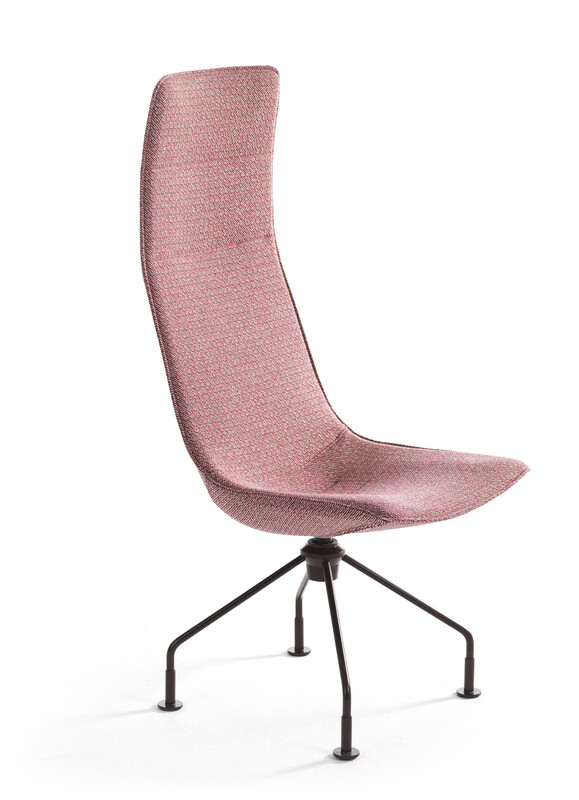 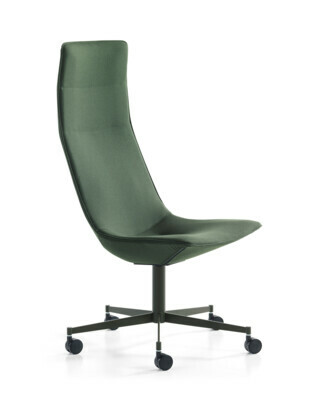 The soft round shape of the chair’s shell gives the user a feeling of embrace. 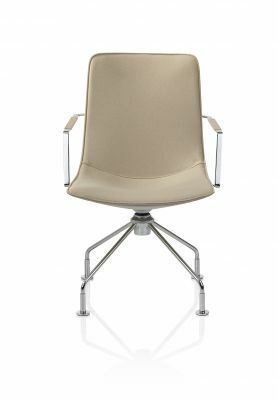 The integrated lower back cushion adds to its comfort. 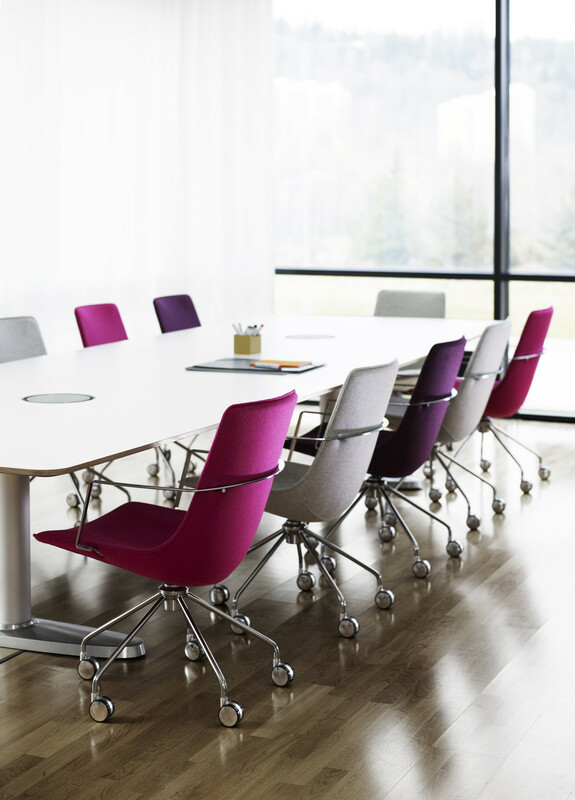 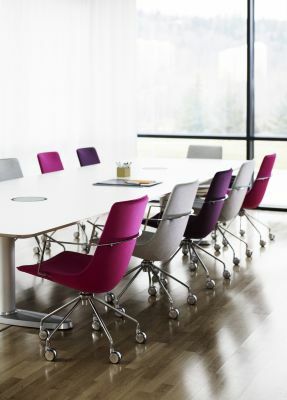 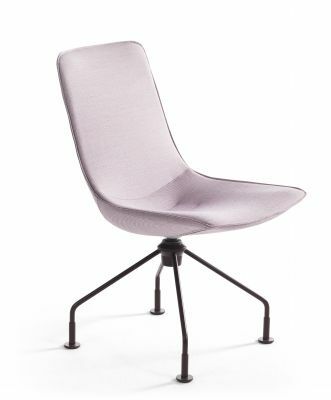 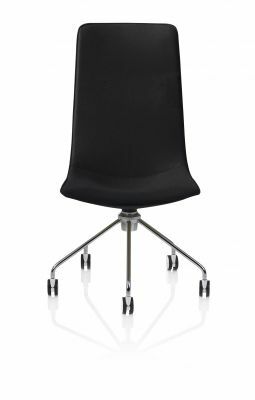 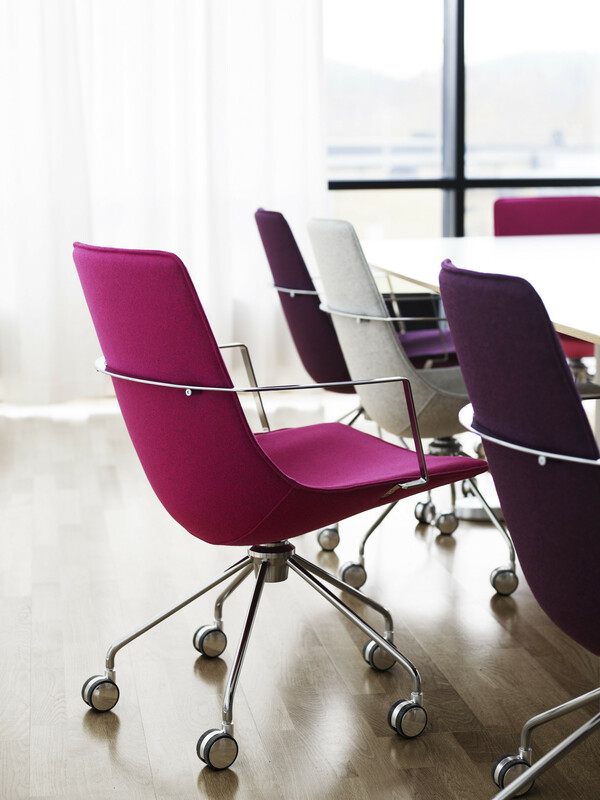 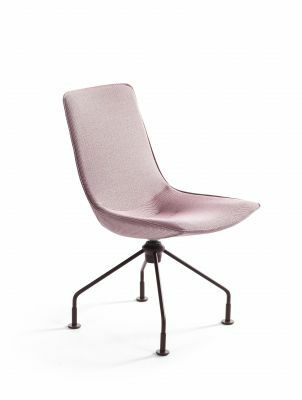 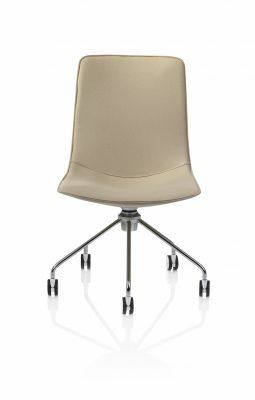 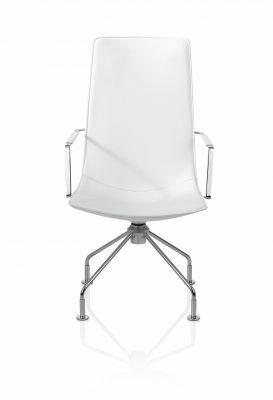 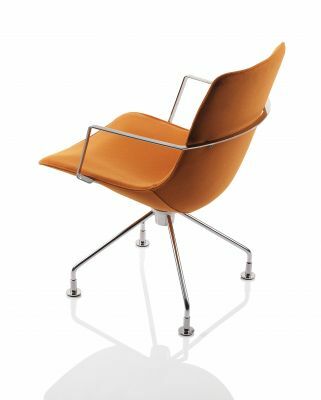 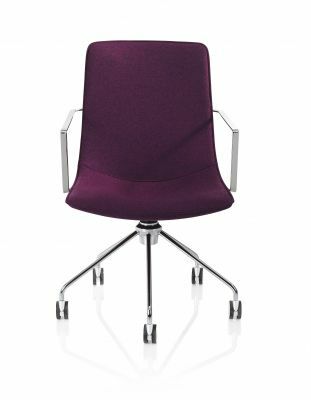 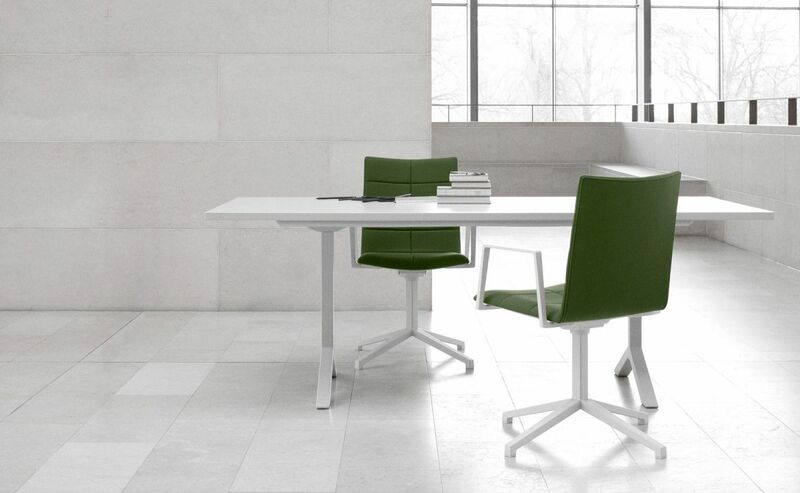 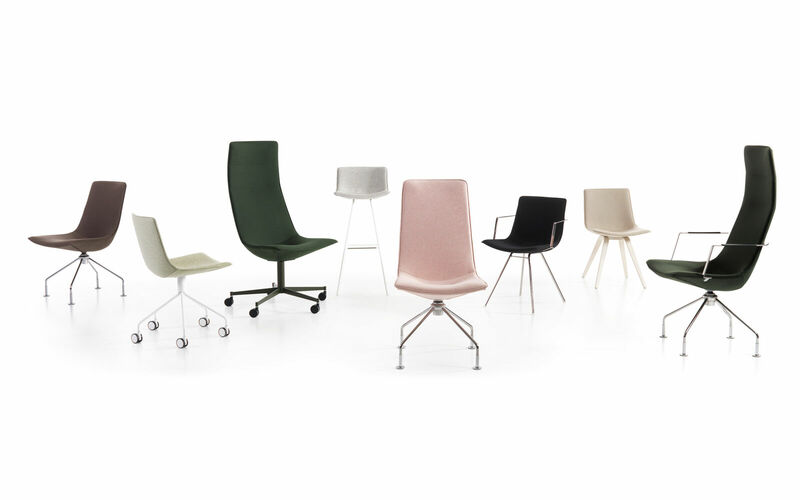 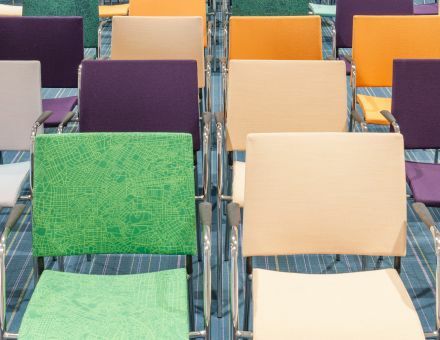 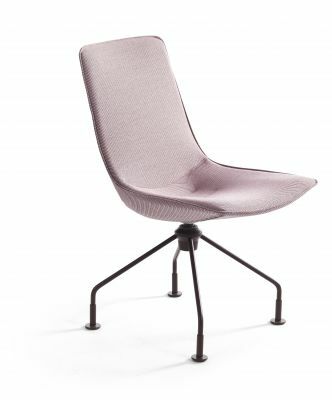 Comet is a chair with many options, available with high or low back, with or without armrests of thin, flat loop steel around the back, and two base options: a four-leg swivel base with glides, and a five-star swivel base with casters. 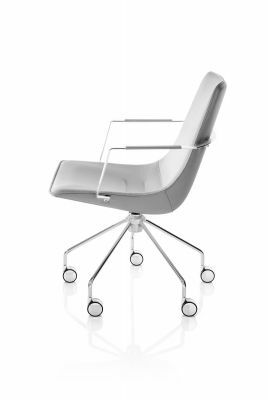 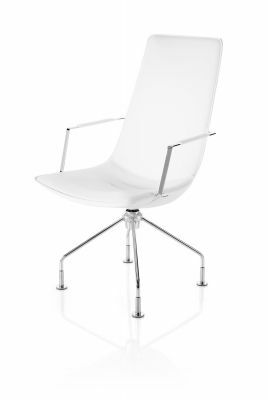 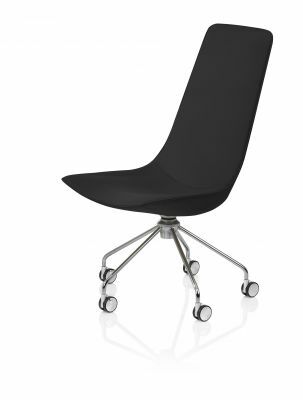 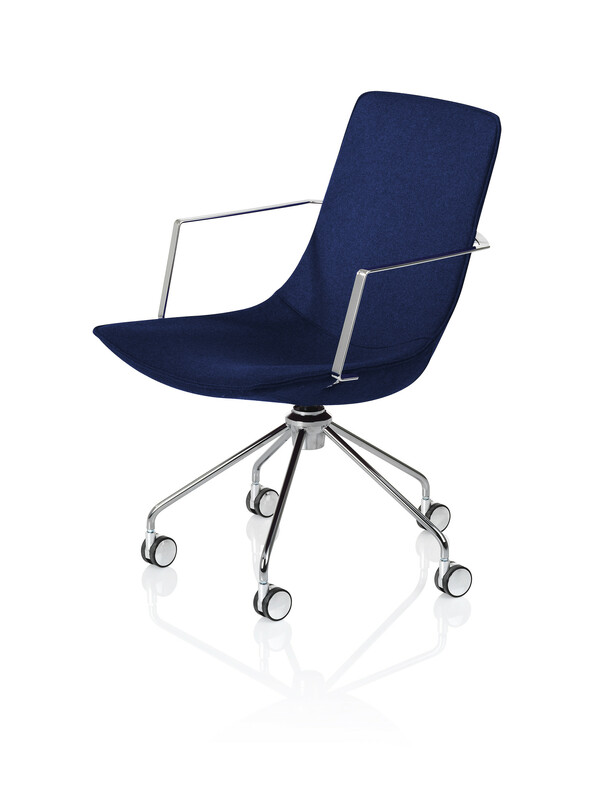 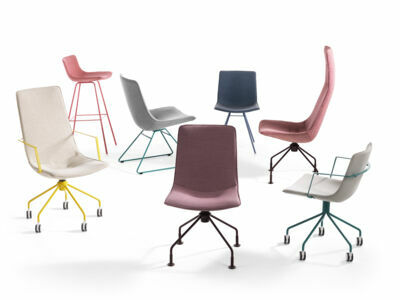 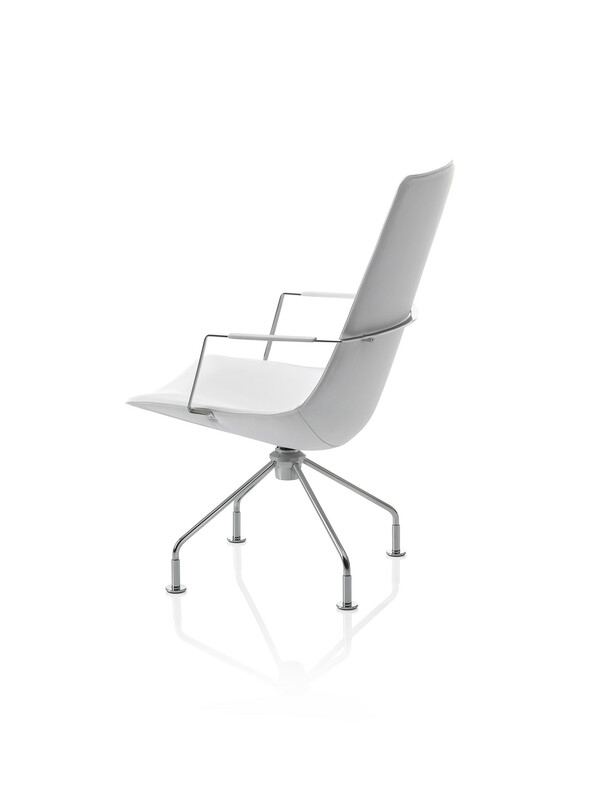 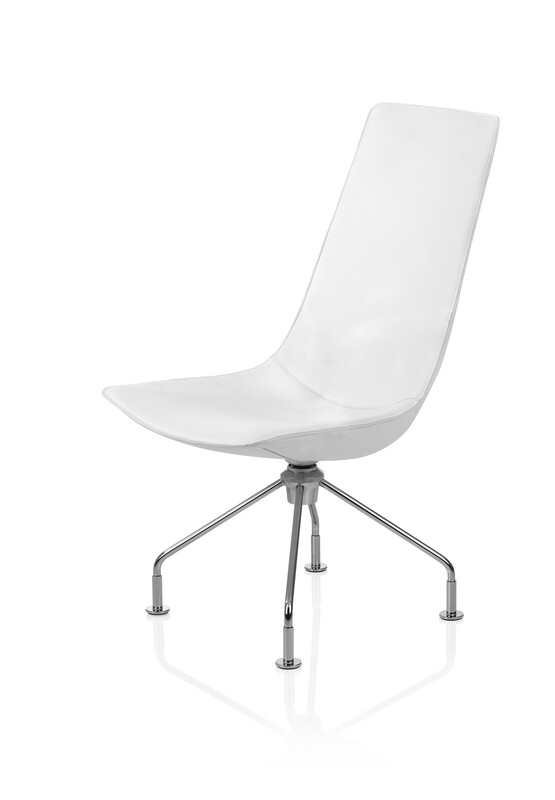 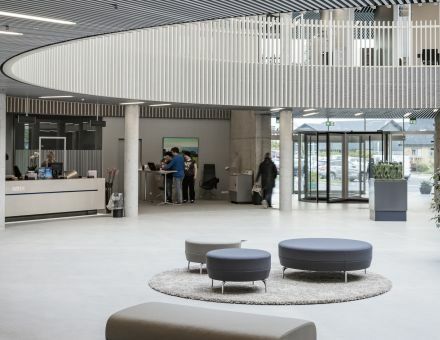 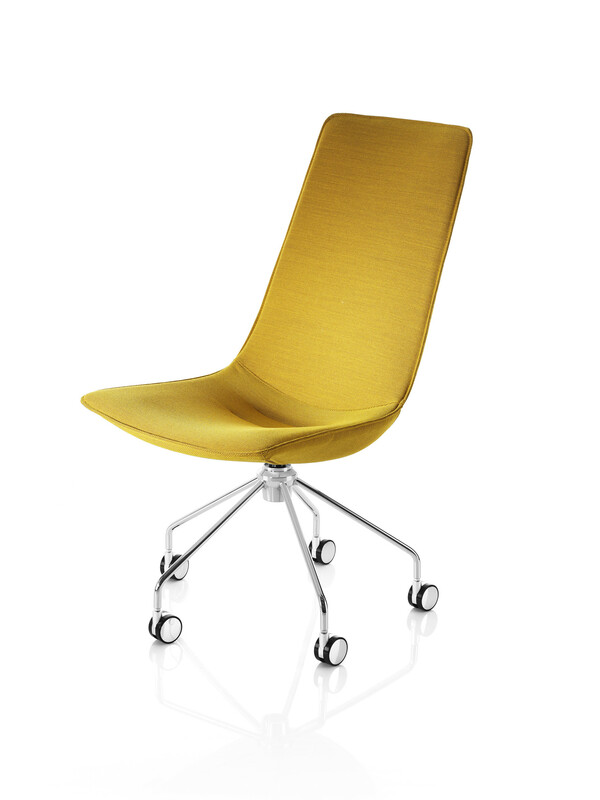 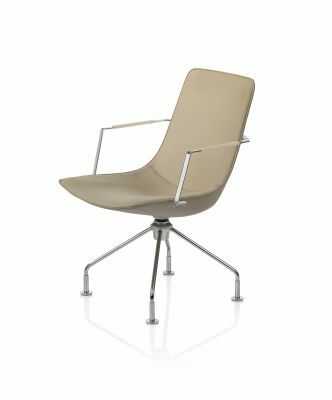 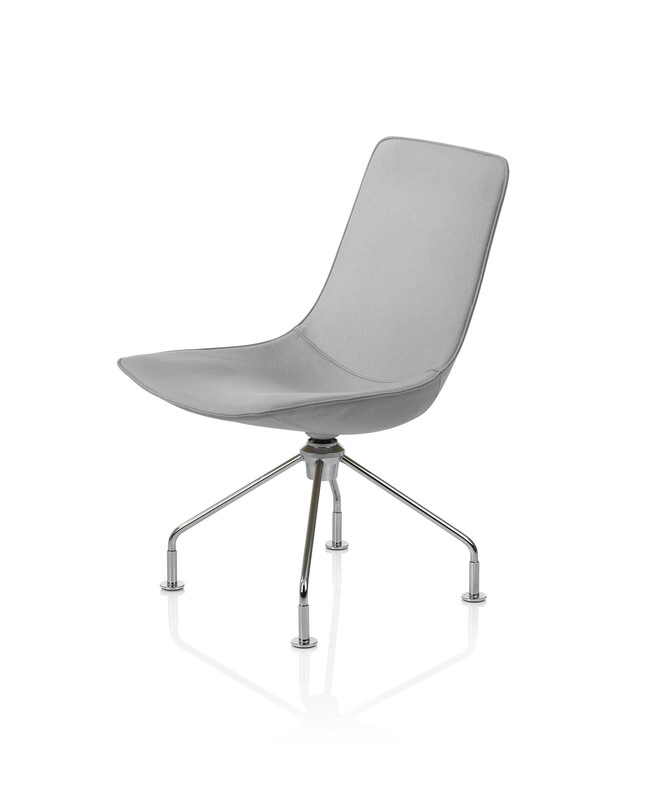 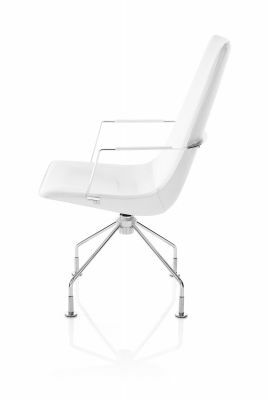 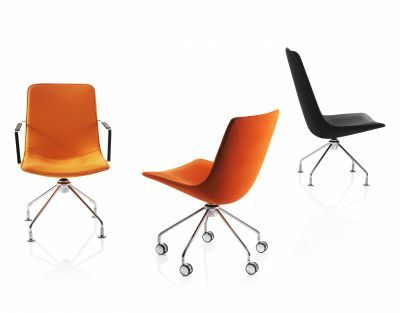 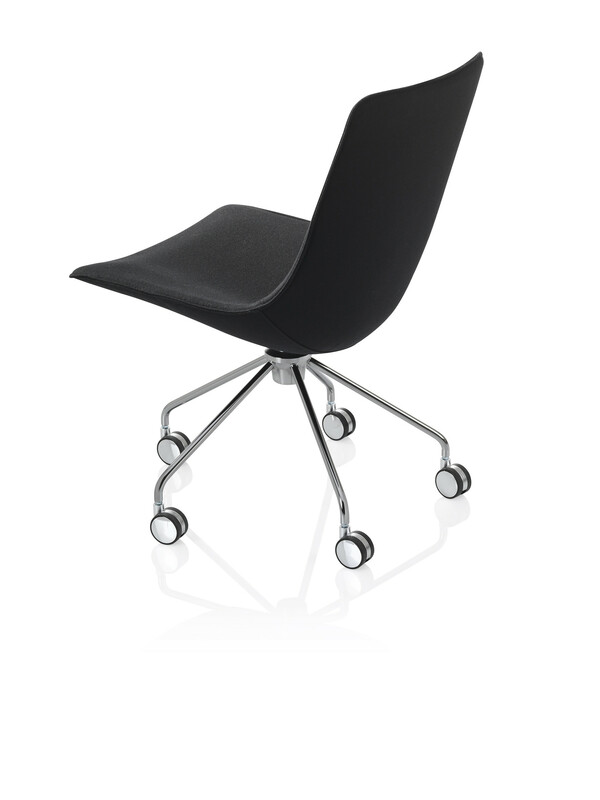 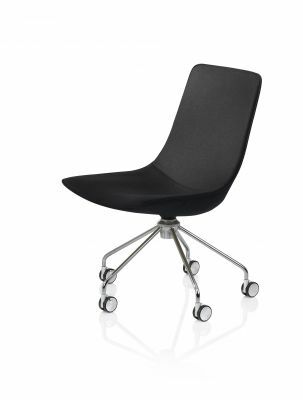 Four or five star swivel base of Ø90 and Ø16 mm powder coated or chromium plated steel tubing. 4-feet base includes glides and 5-feet base includes castors. 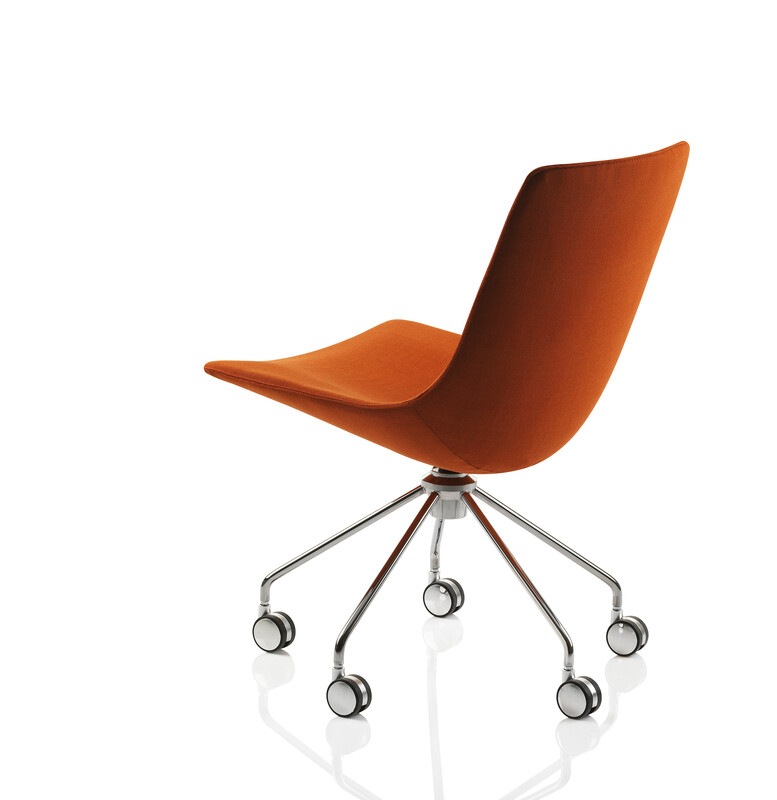 Castors always in chrome. 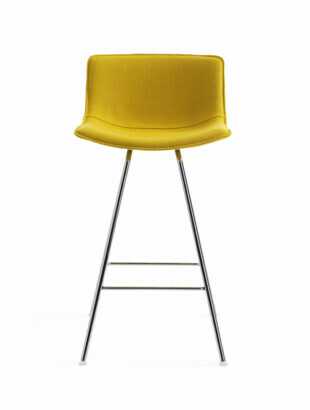 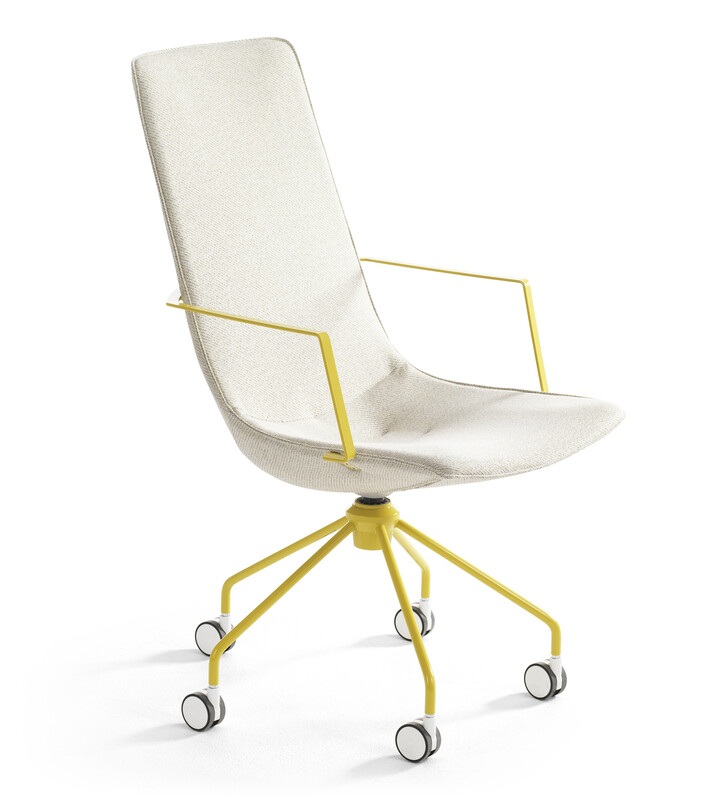 Also available with sled base of Ø12 mm powder coated or chromium plated solid steel. Armrest of powder coated or chromium plated flat iron. 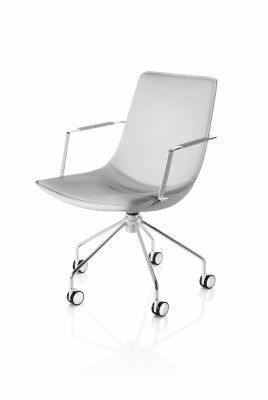 High or low back seat frame of glass-fiber reinforced polyurethane. 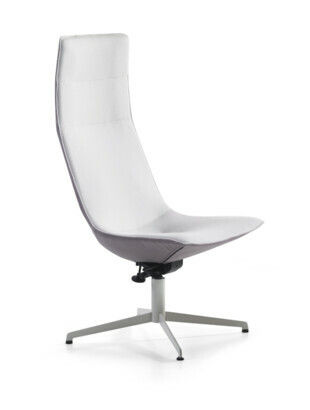 Inside seat shell covered with high resilent polyurethane foam. 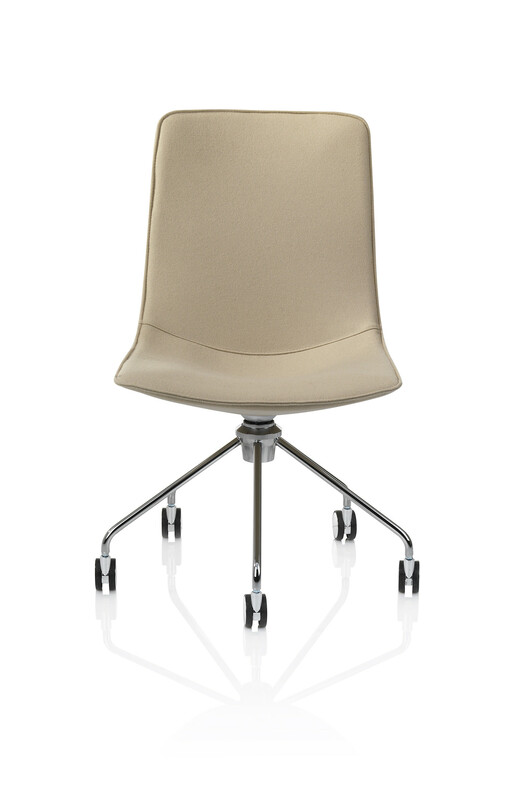 Memory return (only on swivel base in combination with glides).